This weekend could show you some choice pubs on Magnolia, 220 miles west of Fort Worth, or all across America. Keep reading for our pilgrimage picks this weekend. Gear Up for Game Day, 5:30–7:30 p.m. 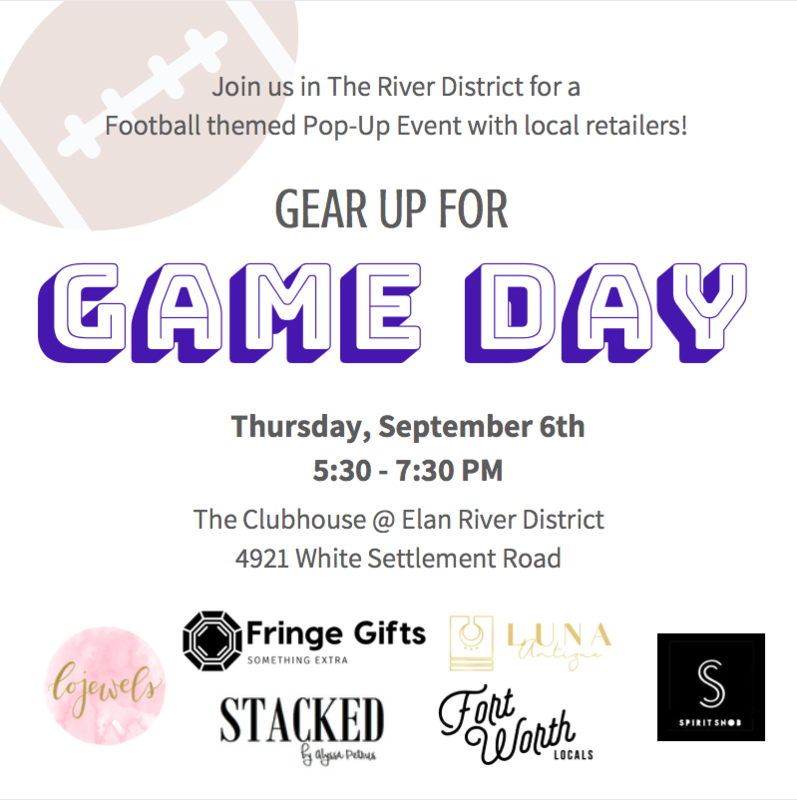 Check out the Clubhouse at Elan River District on 4921 White Settlement Road for all of your game day merch. Free wine and appetizers are available while you sift through local goods from businesses like Fringe Gifts, Stacked and Spirit Snob. Even though the Horned Frogs are a staple in Fort Worth, don’t feel left out if you want to rep a different school — the event will have a variety of team apparel and accessories. The Gonzo Tour: Revs and Java, 8 a.m.–4 p.m.
Sunday drives are outdated. Now it’s all about modern, wagon train-esque road trips that take you sightseeing across Texas with 29 other parties. September’s Gonzo Tour is a 220-mile journey that begins and ends in Fort Worth, with stops at three different coffee shops and a vintage car museum. The tour is free, but you must sign up to find out where the trip begins and ends. Sunflowerman x Craftwork PopUp, 9 a.m.–5 p.m.
Craftwork Coffee Co. — a hub for some of the best coffee Fort Worth has to offer and now a stopping point for Sunflowerman. The enigmatic Sunflowerman is a men’s fashion illustrator that has worked with everyone from GQ to Michael Kors, and for two days he’s working on new paintings at Craftwork. There is also a selfie painting wall and completed works to buy. If you do buy a piece, Sunflowerman will buy you a coffee in return. What a guy. Behind the Seams: Balenciaga Gallery Night Pre-Party, 5–7 p.m.
Kimbell’s latest exhibition, Balenciaga in Black, is opening Oct. 7. Finally, a high-fashion excuse for all of the black you have in your wardrobe. Usher in the show with a night of live music from neo-soul singer Tatiana “Lady May” Mayfield, champagne cocktails, hors d'oeuvres, and a chance for photos at the couturier’s corner. Dig out your fanciest black dress or suit and go wild. Were you the head of your literature class? Are you the go-to person for advice on the role of politics in Medieval epics? Or maybe you just like a good drink. Either way, join Fairmount Community Library at this pub crawl that includes games like literary bingo and drinks like Banana Karenina on the way. First stop is Off the Record. This is America, Sat. 6–9 p.m, Sun. 2–5 p.m.
No, this isn’t a Childish Gambino-themed flash mob. Depending on your point of view, it’s even better: a weekend-long gallery showcasing America through the eyes of local photographers. WestBend is featuring Jesse Anderson, Ting Huang, Chip Tompkins and 13 others at this exhibition. Lola’s Local Farmer’s Market, 11 a.m.–4 p.m.
Lola’s Local Farmer’s Market is an easy way to spend Sunday afternoon and some cash. Peruse a conglomeration of local produce, plants, flowers, coffee, cocktails, treats, food trucks, health products and more. Lola’s Trailer Park is a pet-friendly venue, which means you also get to meet some of Fort Worth’s good dogs on your trip. Moonshine & Dine, noon–3 p.m.
Acre Distillery on 1309 Calhoun St. is hosting this brunch pop-up with Chef Jen Williams of JayCee Hospitality. She’s crafting a special à la carte menu of brunch bites and cocktails, so your afternoon can be a relaxing start to the work week. In fact, if a relaxing Sunday means that even noon is too early, you can show up as late as 2 p.m. and still moonshine and dine with the best of them. Reserving a spot is free.